The new, young and futuristic lot of merchants is keenly interested in materializing their very fresh, untouched, never-thought-before even out-of-box plans and dreams. They are out there, everywhere in big numbers. They are professional enthusiasts who want to conquer the business world in minimum possible time. These energetic people are indeed in need of speedy tool for effective marketing along with eCommerce setups and software that could enable them to climb, scale and widen within the merchandizing community at accelerated rates. We help them by suggesting the proper workable Magento Open Source eCommerce solution that is designed to achieve their goals. 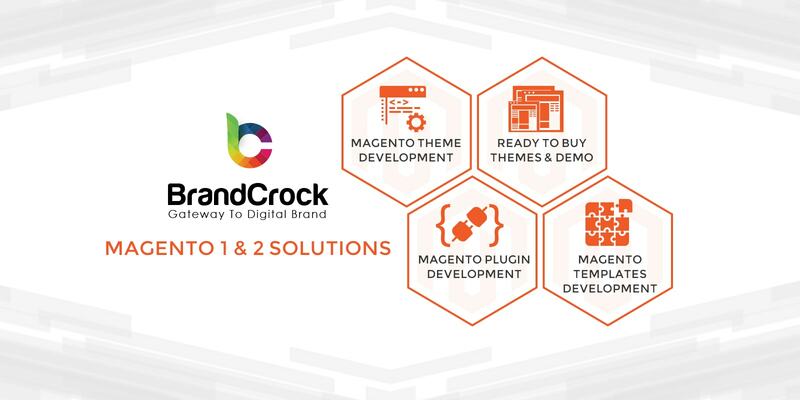 BrandCrock is providing solution as a certified Magento development agency based in Munich, Germany, with two back offices for software production in Karachi and Chennai. We have certified Magento developers assisting in making new online Magento store as well as optimizing your current Magento merchandize. With our unique Magento offshore development models we will enable you to save a lot of initial cost of development, not compromising on quality, smartness or effectiveness of any of our products. 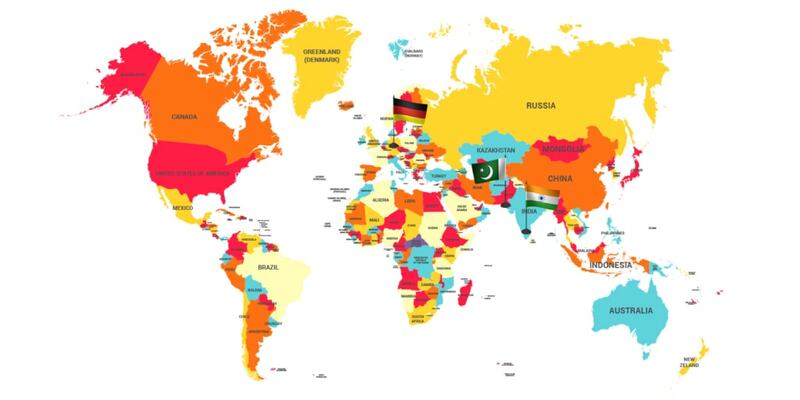 In the ever growing and expanding trading world and ever changing computer appliances, programs, devices like mobile phones, smart phones and their applications, the need to empower the merchants with complete control of their e-Commerce merchandize is but obvious. The mobility of a purchaser as well as merchandiser is a factor to be looked into as both might be travelling in a vehicle or on foot. To enable both parties to carry on the business from anywhere via cyber space, the trading world needs help from people like BrandCrock. 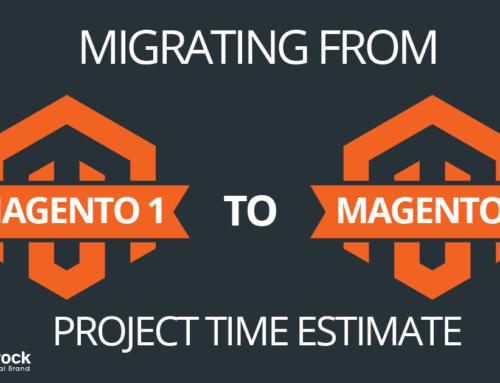 Magento is the answer to this demand and we specialize in this field. It is the Open Source eCommerce solution that administers the merchandizing and content management fully controlled by the proprietor of the business, small or big. 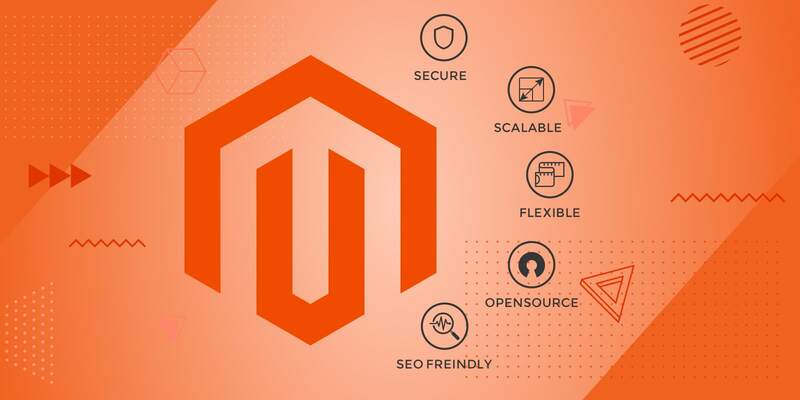 Easy to use Magento Open Source eCommerce Solution provides opportunities for handling, growing and securing the enterprises and end to end businesses. Magento is community-based friendly software being enjoyed on both ends i.e. the seller and the purchaser. We create this environment by implementing, maintaining, updating and advancement on behalf of our clients as they might wish. As a routine job for us, this part of the work is not-so-magical for our experts but our end products produced through applying interface development techniques do magic. Magento is the ultimate response to all the hiccups and issues any volume of the business, small to medium, may face. We respond effectively by developing a suitable Magento open-source e-Commerce solution application which is rich in features, designed for a shop owner or an entrepreneur in local or world market. Our plugins and themes are fully capable of enhancing the customers’ experience. Though a lot of factors need consideration for configuring software for an online store yet we don’t let it to be a client’s headache as it is lies in our domain; we are the ones who deal with it. We achieve this goal by applying our experience from and knowledge of the merchandizing world because we have already done it for a large number of our patrons since long. The jobs are accomplished successfully and satisfactorily. Our team possesses required insight in this very field. No doubt the custom functionality needs complex programming however with a number of years of previous work, the ones dealing with us stand worriless. 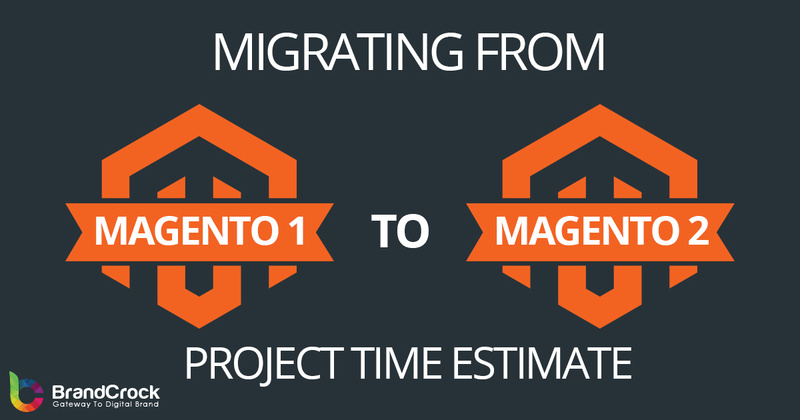 Magento is Open source technology and very productive software which can be easily installed. It works on all kinds of communication devices with screens and possesses facilities of adding any additional layouts and plugins for the future, if the need be. It develops an enjoyable but serious platform that keeps the control in the hands of the merchant and places no constraints on business process or its flow. The Catalog browsing is simple on both ends and the Catalog management is like smooth surfing by the proprietor of the business. It is accessible through various browsers and offers a dependable and wider control of merchandising. It brings in an engaging, limitless and exemplary experience for the purchaser. It makes online shopping extremely easy and increase the money flow back to the merchandiser through fast, increased and expanded business routines. Magento Support all major web browsers and in true essence a is cross browser compatible e-commerce platform. 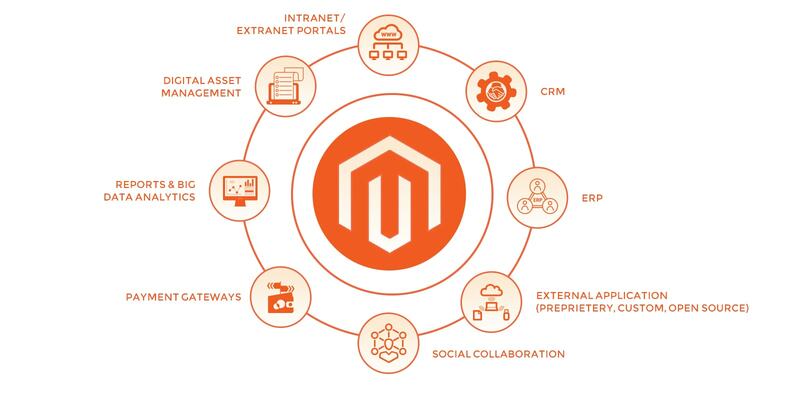 Being compatible to all channels and displays, having a powerful global expansion, limitless facility of digital transformation, scalability and flexibility plus capability of wonderful performance to speed-up the sales, Magento is the choice. We at BrandCrock design and finalize all types of Magento modules, templates, themes and demos; all that with professional maturity for reaching aforesaid objectives. Magento development contains various features that allow creating Mobile Application or a Website that complements a merchant’s online existence. It is one of the flexible platforms of CMS which team BrandCrock GmbH, as a Magento certified development agency, uses to engage and creates all mobile applications and websites to provide functionalities by which your company grows up and high. Magento negotiates the highway towards solutions of e-Commerce problems via flexibility and scalability as its land marks. Magento allows its user to create such modalities that lead to a sure success and achievement. The business size is not a troubling factor at all and the size of the merchandize does not matter, It is the Magento that takes care of such issues. The user may work on a desktop, laptop, iphone or touch screen mobile cell of any kind, in this highly competitive and digital world of business, Magento works globally through internet. Magento is a positively effective, powerful content management, merchandizing and marketing tool and we make sure it costs our clients far less compared to our other competing colleagues doing the same job in the market. As a certified Magento development agency, we are providing the following Magento services. Magento helps in building and developing fresh ideas, solutions to the issues, trouble shootings plus provides mechanism to advance the capabilities and performance of the store and platform. BrandCrock GmbH through its experienced developing and executing team deals in Open Source Magento eCommerce solutions and offer full services to all those merchants who run an on-line business. All our clients are provided with required training to let them understand the operation and usage of the Magento module developed for them, if needed. The clients are induced with necessary knowledge about the module to be used as a tool in marketing and sales. They are made familiarized with best usage of this eCommerce tool that they get from us for their merchandize. In brief, we take it as an obligation to upgrade the know-how of our clients regarding the product which we tailor made as per their individual demand. 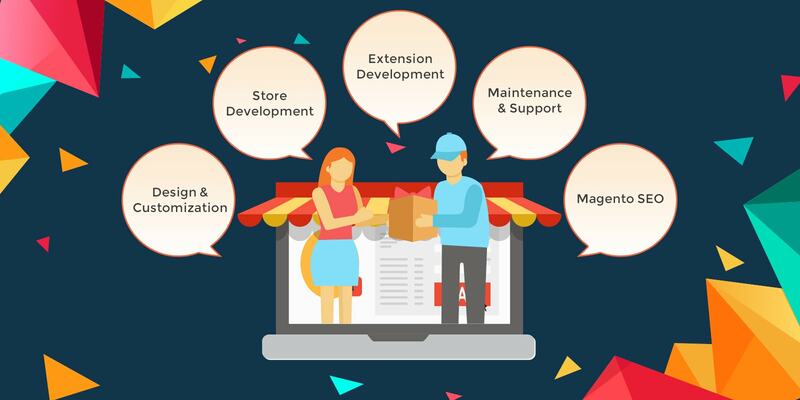 Expanded and flexible development becomes a necessity and Magento custom module development takes the central and focal stage of any Magento project because in an expanding business, one may need integration of the previous functionality and/or module with the newer version, at some point of time. As an industry norm, Magento module, designed for any trader, needs a lot of thinking, planning, understanding the reason, cause and objective of the business. The designing, presentation and outlook of the module as per merchant’s own aesthetic level and liking is equally important. Looking unique, eye-catching and presenting the persona of his/her business for making a lasting mark in the market is every ones dream.. Special features are needed is such situations. 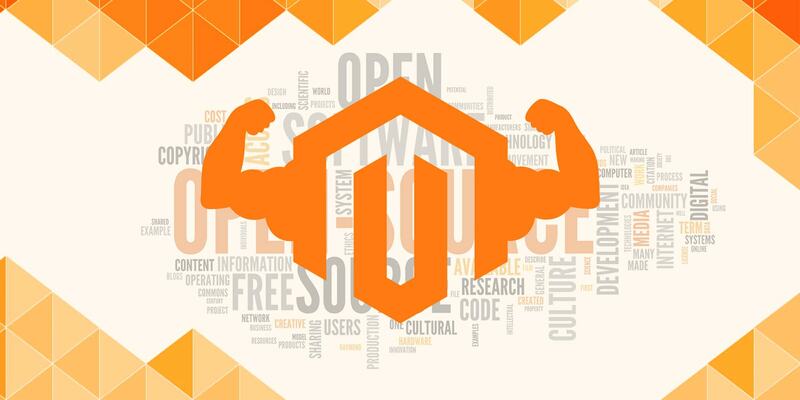 These facts and factors are brought into deep consideration by the software engineers as each is equally important while developing a Magento Open Source module. A Magento module is optimized for features which are made easy in use, smooth to handle, and smart to respond the queries. Easy to understand and easy to use both for the shopper and the trader. Extreme importance is given to security environment for the module and this feature is always is built-in; embedded within module. It is necessary to understand that Magento plug-in modules are unique, separated and extendable logical groups that contain blocks, controllers, helpers and models that include all the features of business outlets of all sizes big are very big. This goal is achieved through the supporting logic for every single business. All modules developed at BrandCrock GmbH do possess individual, additional, related and attached capabilities for every single client for his/her merchandise. To materialize a business dream needs time and planning to get ready and take a plunge into the merchandising ocean. Selling products online is just an idea and to make it happen one has to acquire proper setup and tools including a Magento template which is user friendly. To build a template, the shop owner needs prior coding and design skills that most of the business community does not master in. But no worries, we are ready to help you out from this issue. A combination of easy-to-go template and open source platform which Magneto is, makes thing easy. Although a number of free templates can be downloaded from internet, we advise not to waste your time in search because not all the templates are 100% compatible to all businesses. We can help here and find a suitable and useful template that works for your on-line shop. All Magento themes from BrandCrock GmbH collection, we feel proud to guarantee you flawless work and full compatibility of all platform components and their smooth up gradation to the newer versions. As an experienced provider of Magento services, BrandCrock GmbH offer Magento templates that are being used by a large number of merchants and traders around the globe. The basic design of the website is the most important feature as it makes first impression about the business. 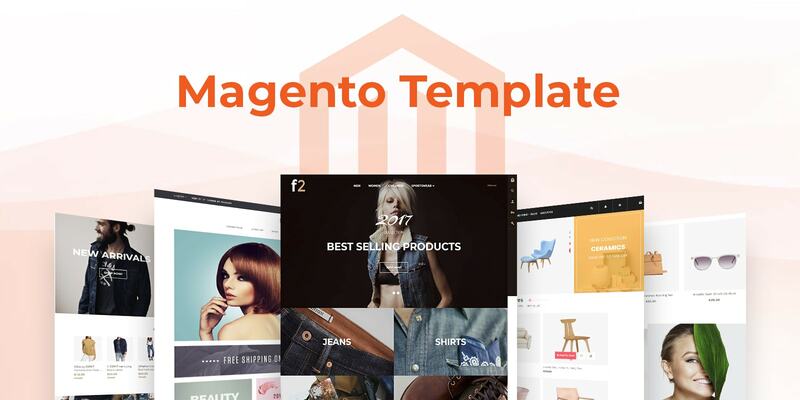 The Magento themes are the face of merchandise. These themes must be eye-catching, unique and smart enough to attract the shoppers, clients or purchasers. These themes should be innovatively thought and embedded with new ideas plus provision of effortless installation. BrandCrock GmbH offers you Magento themes that can be installed by you as user for developing your very own Magento stores. We deliver many free Magento themes according to the requirement, demand or need of any business and choice. 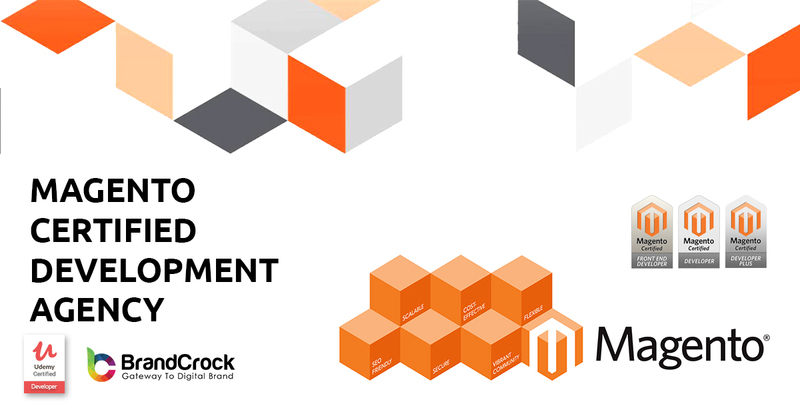 BrandCrock GmbH can create demo for your online shop to make you understand how fast and effective response Magento gets in the market and how all Magento facilities are implemented for your online business. Many online demos are available but a personalized demo for a particular online store is worth trying as it is tailor-made for ones setup and especially created for his/her business. We provide such magento demos and implement modules, templates, and themes for all kinds of online stores. We can do modifications and needed changes in all concerned software of existing demos according to the demands and liking of our esteemed customers. BrandCrock GmbH based in Munich is one; a certified Partner of Magento with its unique Maganto outsourcing development. We have a long list of accomplished jobs and happy clients. The engineers at BrandCrock GmbH are certified, experienced and innovative Magento developers. We aim at reducing the cost to one third never ever compromising on our high standards of the job we do. Kindly leave your comments below if you find this article useful while setting up your online Store with Magento.